67 acres, more or less, with paved frontage on FM 2744 and county road frontage on CR 134, north of Sweetwater in southern Fisher County, TX in the Palava community. Nice mix of grass and mesquite pasture with a small draw and surface pond in the pasture. 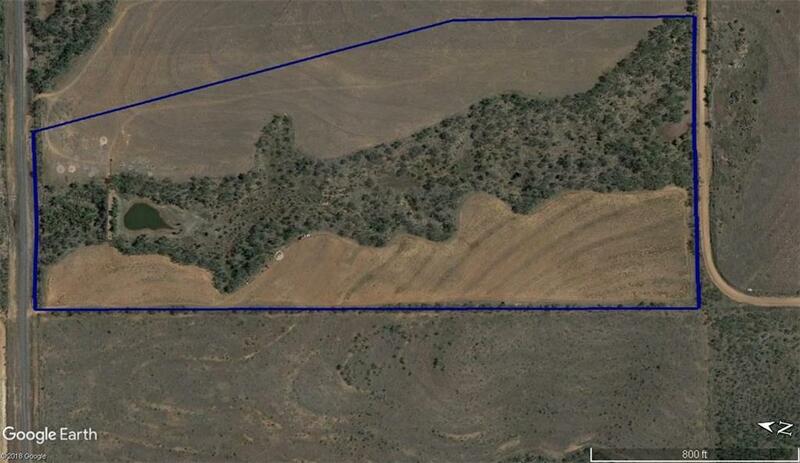 Great opportunity for a homesite or place to simply enjoy the peace and quiet of the country. Graze a few animals, enjoy the wildlife or grow some crops. Close to town but away from it all! Tract size can vary to suit your specific needs.